Diabetes, heart disease and osteoporosis and other aging diseases may be reversible according to new research, which has identified a drug combination that shows promise in delaying aging and age-related diseases. 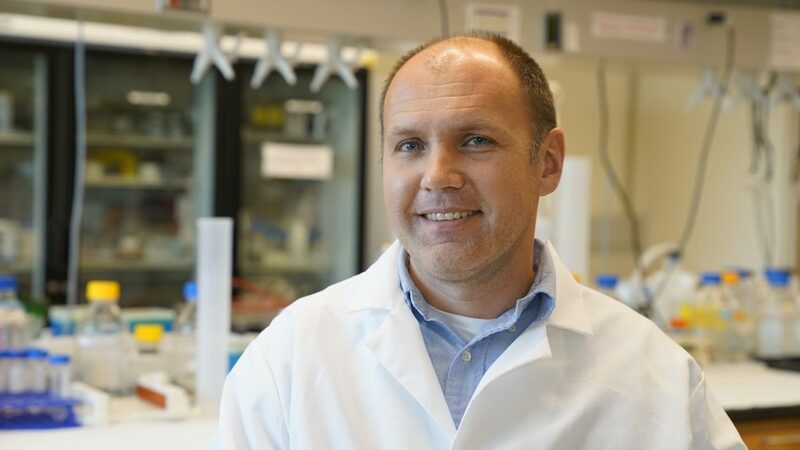 Michal Masternak, Ph.D., associate professor at the UCF College of Medicine is part of a research team that includes the experts at the Mayo Clinic, Wake Forest University and University of Texas Health. They have linked senescent cells and aging. The senescent cells in the body, also known as ‘zombie cells,’ are non-dividing cells that appear to offer no support to the body but refuse to die. Their presence causes surrounding cells to take on the living dead characteristics, so as the senescent cells increase and accumulate in the body they damage tissue resulting in frailty and aging. A 14-person safety and feasibility clinical trial, started by Dr. James Kirkland at the Mayo Clinic in Minnesota, tested a combination drug therapy that included an FDA-approved leukemia drug, Dasatinib and a plant compound called quercetin. The drugs were administered to pulmonary fibrosis patients to attack and kill off the ‘zombie’ cells. In their recently published article in Lancet’s EBioMedicine journal, the researchers reported that patients who received nine doses of the combination therapy over a three-week period experienced improved physical function, in walking speed and gait speed at the end of the trial. Dr. Masternak has been working on aging research for more than a decade. His work has found that increased lifespan and health is associated with the number of senescent cells accumulated in the body. Targeting and killing senescent cells could provide a gateway to treating and slowing down debilitating diseases such as pulmonary, cardiovascular, metabolic and Alzheimer’s disease, he said. “In a state like Florida, we have a large aging population so being able to treat and slow down the progression of aging will greatly increase the quality of life and longevity of our population,” he said. While only 14 subjects were tested in the initial study, Dr. Masternak believes these promising results will help move the drug trial to a larger scale study. The researchers involved in the collaboration include Drs. Kirkland, Masternak and Dr. Jamie Justice at the Wake Forest School of Medicine, and Dr. Anoop Nambar of UT Health. Dr. Masternak’s research was recently featured on WFTV.